You may have already heard of Nashville, Tennessee as a vibrant center for music, arts, and entertainment, but did you know that it is also home to an active book club and bookstore scene? Look no further than Parnassus Books as proof of a richly-populated literary community in Nashville. Parnassus Books—so named for Mount Parnassus in Greek mythology, which was a center for the arts—has made its home in Nashville since November 2011. 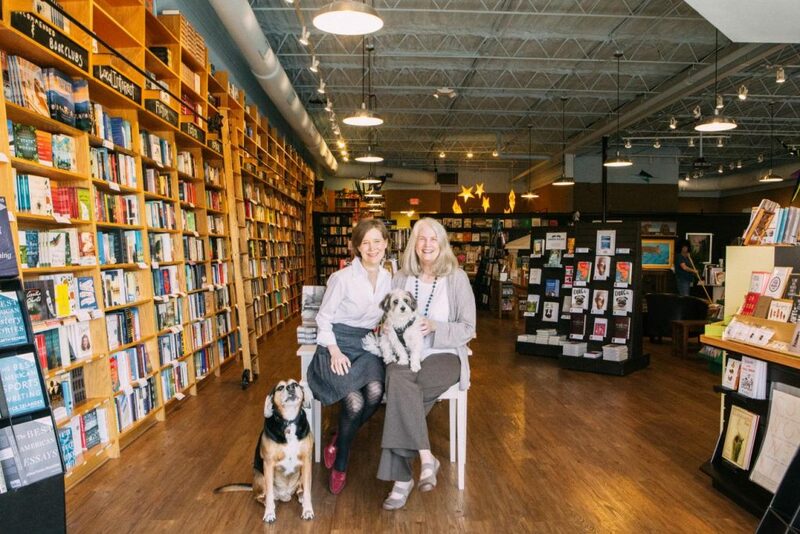 Novelist Ann Patchett with publishing representatives Mary Grey James and Karen Hayes began the store after the closing of Nashville’s two large bookstores, Davis-Kidd and Borders. Since then, Parnassus Books has thrived as an independent and local business that connects the community through books. The store stocks books that their staff has read and can recommend, facilitating personal interactions between staff and customers as people search for their next good read. And Parnassus Books remains a cultural hub for book groups! The store hosts two of its own book clubs, Parnassus Book Club and Classics Club, which feature contemporary fiction and nonfiction works and classic works respectively. The Conscious Aging Book Club offers memoirs and non-fiction works about aging. Additionally, Parnassus offers registration for book groups that allows members to order and buy their chosen books at a discount while alerting them to author events and workshops at the store. Once a book club registers, Parnassus creates a shelf space for them in the store in their book club section and stocks the club’s selections there. Around 50 book clubs are currently registered with Parnassus, and the store is always looking for more groups to take advantage of their registration benefits. Their Book Club Workshop every fall teaches book club members how to run a successful book club, pick great reads, and more. For a nominal fee, customers may purchase a ticket to the event, but those who are interested are advised to do so sooner rather than later, as the workshop has limited space and it is so popular it sells out! But the amenities of Parnassus don’t stop there. 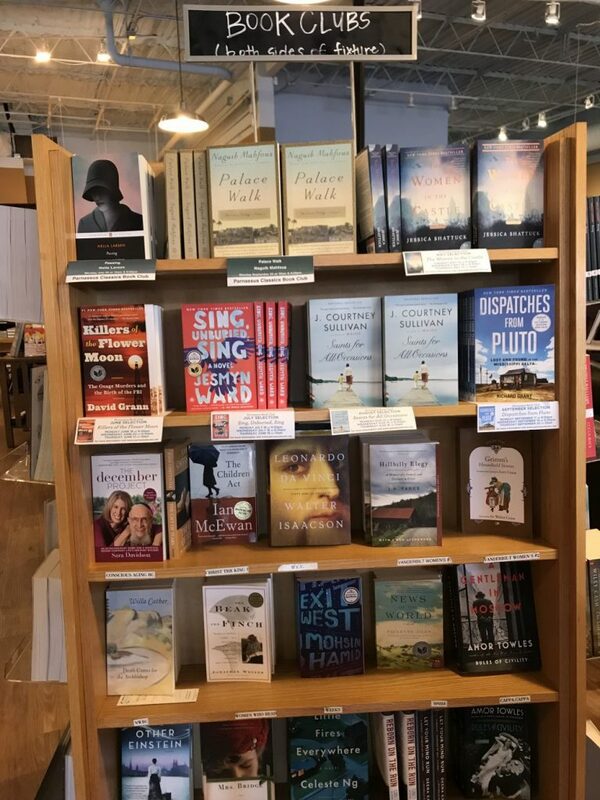 The Parnassus Books blog, Musing, showcases interviews with co-owner and novelist Ann Patchett, posts about life at the store, and gift recommendations, among other things. Muse even has a section for the Shop Dog Diaries, which detail the lives of the many dogs who work at the store. Parnassus’s First Editions Club provides subscribing customers with signed, first edition staff picks delivered to their home every month for one year. ParnassusNext provides the same service but caters to young adult readers, providing quality recommendations from the staff. Interested customers can sign up for either club online or in the store. The Parnassus store also hosts regular events with author signings, storytime readings, and informative symposiums. Whether you’re starting your own book club or just wanting your next good read, Parnassus Books fulfills its mission of connecting people with great books and meaningful experiences.